In his latest novel, universally acclaimed author James Whorton, Jr., delivers a curious Nixon-era caper of broken men and stoic runaways who learn just how much there is to gain, and lose, when you go undercover. Angela Sloan, a seemingly average teenager living in the suburbs of Washington, D.C., is left to lie low and fend for herself when her father, a retired CIA officer, skips town in the wake of the Watergate scandal. Driving a Plymouth Scamp she has just learned to operate, Angela encounters strangers literally at every turn. A fugitive Chinese waitress won’t get out of the car. A jaded lady spy offers up free therapy and roadside assistance. A restless pair of hippies keeps preaching about the evils of monogamy. And an anteater lurks in the unlikeliest of places. But through all of her outlandish adventures, Angela keeps focused on one urgent wish: to reunite with her father. Bold and quirky, Angela Sloan is a priceless coming-of-age story about stealing diner food and salvaging lost identities. For two hours I sat at the dining room table, wired to his aluminum suitcase, watching a brown felt sideburn curl away from his cheek. Glue failure! Now he accuses me of lying to him. My “flat eye line” and “suspicious hand carriage” have given the game away. Let me say this about lying. When a person is fourteen years old and traveling on her own by car, she has got to have some stories in her pocket. Every trucker with a tremor in his arm wants to know where that girl’s dad is. Even the clerk at the Lee-Hi Motor Hotel feels he is owed a piece of her life story, if only so he can repeat it when someone comes asking. So yes, I got into the habit of making things up. But the truth was always real to me. I never lied to make myself feel better. Does somebody in Langley need to feel better? That is not a good reason to lie. Most people’s fathers aren’t perfect, and Ray Sloan is no exception. I don’t expect you to defend him in the papers. I admit I didn’t help matters any with my activities last summer when the FBI was looking for him. I was trying to lie low, but then I got involved in that other business with the terrorist hippies. The fiasco at the Watergate was a surprise to me. It was a thing that Ray had really almost nothing to do with. Still, I will tell you what little I know about it, plus everything about the Chinese Communist girl known as Betty or Ding. Please excuse my faulty typing. Having sat here these minutes beating this out, I have had the chance to remind myself that Mr. Wicker was only doing his job, perhaps to the best of his ability. I suppose he was following some important rule when he did not permit me to answer any of his questions beyond a yes or no. I thank you for your consideration in sending Mr. Wicker here, since driving to Langley for a lie detector test would have required me to miss a day of school. I have Mr. Wicker’s rubber mole that he left on the edge of the sink. Now I am going to tell you what really happened. The whole thing. No stories. In order for it all to make sense, I will have to back up first. I will keep it as short as I can. Because of the truthful and explicit nature of what follows, please consider this a Top Secret Correspondence. © 2011 James Whorton, Jr. There are some things I can’t explain about Ray. Why did he drink too much? I don’t know. Why did he save my life at a moment when his own life had exhausted him? He was not my father in the biological sense. Other people didn’t know that, because it was our cover. Even with friends inside the Agency, there was no need to discuss such things. Why would there be? We didn’t see a need, anyway. It is easier to live your cover if you live it all the time, day and night, in public and in private, and even when you’re alone. But I can remember my previous parents, of course. I was seven when they were murdered by Simbas outside Stanleyville, along with my small brother and our Congolese housekeeper, Judith. I survived the massacre by hiding myself in an orange tree, where I still was clinging like a bat when Ray arrived in a yellow beer truck and spied me among the branches. He was someone who’d visited our place once or twice—an acquaintance of my father’s. He plucked me down. “N’ayez pas peur,” he told me in his Okie-inflected French. Don’t be scared. He walked all over the muddy yard with me shaking in his arms. This was the summer of 1964, when the Simba rebellion was happening in the Congo. Many white people had left Stanleyville, and those who hadn’t left were stuck. Simbas controlled the airport and had overrun the U.S. Consulate. The consular staff, including some Agency men, were hostages. Ray worked under nonofficial cover, though, so he had no connection to the consulate. He was a manager with the Sheffield Beer Distributing Company. He hid me in a room at the Sheffield warehouse. The Simbas, as I recall them, were a frightening mob of orphans high on cannabis and beer. They dressed in animal skins, ladies’ wigs, and secondhand military clothing, and they armed themselves with spears and stolen rifles. Their witch doctors worked a kind of magic that was said to transform bullets into water. Soon a pack of these sad killers searched the warehouse and found me. One of them had lipstick on his eyelids. Perhaps you can imagine my terror after what I had seen them do to my family. But Ray was there in an instant. He told them I was a drowned girl who had come back to life, and if any man touched me his body would dry up like a husk. He sent the boys away with a truckload of Sheffield ale. I remember those weeks at the warehouse in pieces. There was chacha music on the radio, in between the death sentences that were announced several times every day. Once I cut my hand while trying to open a can of sardines, and I shrieked my lungs out while Ray poured alcohol over the wound and wrapped it. “Easy, Jumbo,” he said. Another time, I was sitting in the yard in some white sunlight when we heard trucks. Ray scooped me up off the ground and ran to put me inside. I felt both frightened and protected. In November 1964, Belgian paratroopers retook Stanleyville. The Simba retreat was chaotic and bloody. The government in Leopoldville, unable to rely on its own army, had sent a column of white mercenaries to rescue all the Europeans and put them on planes. A pair of these mercenaries came to the warehouse, and Ray lifted me into the back of their truck. There was a nun back there with her ankle taped up. I thought Ray was coming in after me, but then he didn’t. I screamed when the truck pulled away without him. The nun began to sing “Amazing Grace.” I don’t quite remember assaulting her, but evidently I did. She was bitten in places where she could not have bitten herself. I guess I did it. They turned the truck around. I jumped down from the truck and ran calling for Ray. There was an office in the warehouse and that was where I found him, playing a record on his portable phonograph and holding a long, skinny pistol on his knee. He appeared confused to see me again. Hadn’t he just sent me away? Something was happening inside him that was too quiet for a seven-year-old girl to understand. I had interrupted something, but I could not guess what. It didn’t matter. I grabbed him, and this time I wasn’t letting go. The men with the truck had followed me in. “She will have to be hog-tied,” one of them said. I crawled up onto Ray’s lap, sniveling into his neck, begging him to come with me. Whatever Ray’s plan had been—whatever it was he’d intended to do when the record finished playing—he set it aside. He took two passports from a locked drawer of the desk, and he carried me to the truck. This time he climbed in with me. “I am sorry for my daughter’s behavior,” he said to the nun. I can never express the gratitude and love I felt then and continue to feel. “Her name is Angela,” Ray said, and it has been ever since. This reading group guide for Angela Sloan includes an introduction, discussion questions, ideas for enhancing your book club, and a Q&A with author James Whorton, Jr.The suggested questions are intended to help your reading group find new and interesting angles and topics for your discussion. We hope that these ideas will enrich your conversation and increase your enjoyment of the book. 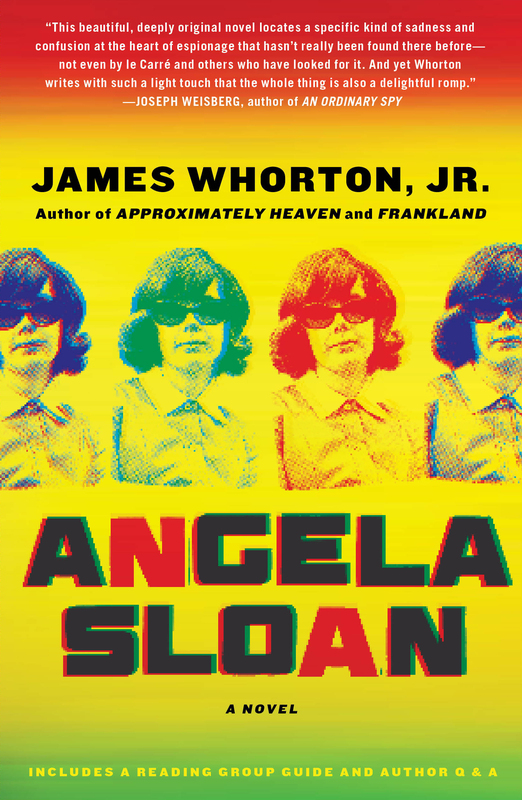 It’s the summer of 1972 and one “strange, dry girl”—fourteen-year-old Angela Sloan—is on the run from the CIA, even though she is quite certain that her father, ex-agent Ray Sloan, had very little involvement in the Watergate fiasco. As Ray and Angela hit the road, sometimes together, more often apart, Angela, who prides herself on her ability to go unnoticed, finds herself in the company of rather unlikely car-fellows, such as a strange, pro-communist Chinese girl named Betty, and a bevy of not-so-laid-back hippies with their own hidden agenda. As she tries to dodge agents and find a way to reunite with Ray, Angela learns how to drive a car, smoke a cigarette, subsist on diner food, and charm a motel desk-keeper into giving her vital information; but most importantly, she comes to find that things are not always what they seem in this hilarious and poignant comedy of broken girls, stoic men, and mean hippies set amid the chaos of the Nixon era. 1. Names are transient throughout the novel; many characters have more than one name, some have no real name at all, and we never do find out Angela’s real name—yet, the title of the book is simply Angela Sloan. Discuss the significance in relation to the story and Angela’s journey. 2. Angela experiences a significant journey through the course of the novel, both literally and emotionally. Compare the early version of Angela with the girl she is by the end. Do you feel she has changed? In what ways? 3. Though Angela has been raised learning all of Ray’s tactics and maneuvers for reading people and scouting a situation, it is Betty who often makes the most astute observations about the people around them. For example, on page 163 she observes about Marilyn: “Way she smoke and eat, seem like she hate herself.” and Angela responds, “I don’t know how you could tell something like that after eating breakfast with her one time.” Why do you think Betty is able to do this? Is it simply because she is more emotionally removed from the situation than Angela is? Or do you think, in trying so hard to see everything, Angela sometimes misses the obvious? 4. Angela is horrified to discover that Betty has her, as she terms it, “under discipline,” when all along she felt as though she were the one in control of the situation. Power, and the balance of power, plays an important role in every relationship throughout the novel. Discuss how each character, at one point or another, manipulates or uses their power in an attempt to achieve a particular end. In your opinion, do many of them succeed? 5. How does the relationship between Angela and Betty evolve over the course of the novel? What are the major turning points? Did you find these changes believable? Why or why not? What about the relationship between Angela and Ray? 6. Choose one adjective you think best sums up the character of Angela and share it with the group. Were you surprised by how others in your group perceived her? What are her strengths and her weaknesses? How does your perception of Angela’s character change throughout the story? 7. Discuss the ways in which the bonds of family and friendship—for good and for ill—are central to the novel. Why do you think Wharton introduces this element into the story? 8. Betty says, “You will never fool somebody with sense, but most people don’t have any sense. You will be surprise. That is how I live, by so many people don’t have sense.” (pg. 101), and Angela observes, “People look past me because I have no value to them.” (pg. 166) Throughout the novel, the idea that people see and believe what they wish to is repeated often. Do you agree with that concept? Why or why not? 9. The theme of appearance (versus reality) is central to the book. What are some of the obvious (and not so obvious) examples of this idea throughout the story? What do you think Angela comes to understand about the way things appear versus the way they truly are? 10. Renee and Eeyore are two characters who coincidentally pop up several times on Angela’s trip, before disappearing entirely. Did you think they were working with the CIA and with Marilyn? Or that they were, in fact, just a couple of freewheeling hippies with impeccable timing? What roles do coincidence and fate play in Angela’s journey? 11. While in many ways Ray trusted Angela with much more information and responsibility than most adults offer their children, he still hid a very important secret from her about his past and his family. Do you feel he was right to keep this from Angela, or do you think by trying to protect her in this way, he ultimately did her a greater disservice? 12. Were you surprised by how Angela’s adventure turned out? Why or why not? 1. Read one of James Whorton’s previous books (Frankland, Approximately Heaven), or another novel that shares a sassy heroine and themes of adventure and self-discovery, such as The Spellman Files by Lisa Lutz. How are they similar? How are they different? 2. If Angela Sloan was made into a movie, who would you cast for Angela? For Betty? For Ray? Discuss your Hollywood picks with you book group! 3. Do some research on the real Watergate scandal, and the tumultuous time period Angela was living in. Have each member present a fact or interesting piece of information for an impromptu history lesson! For a more in-depth account, read a book like All the President’s Men by journalists Carl Bernstein and Bob Woodward, and discuss. 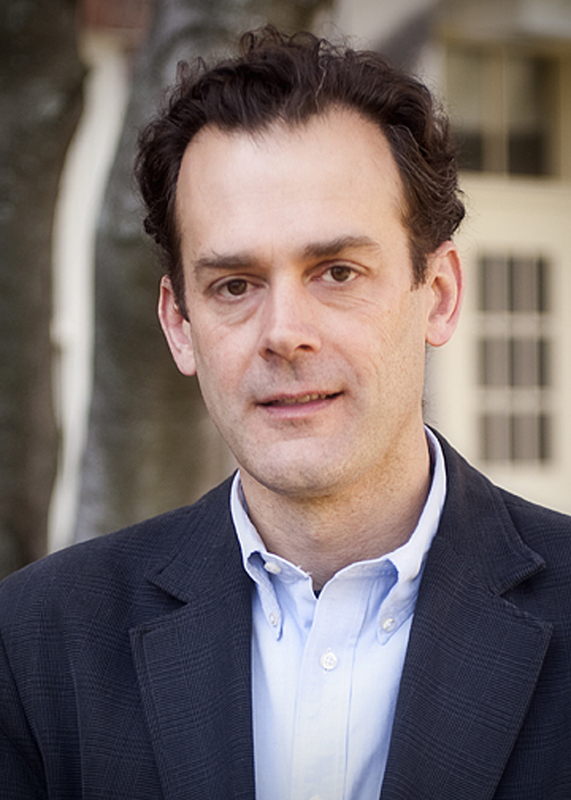 A CONVERSATION WITH JAMES WHORTON, JR. This is such a hilarious, zany, offbeat adventure—where did the idea for Angela Sloan first come from? Was the story inspired by research on Watergate and the time period, or was it a certain character or setting that sparked the entire novel? My daughter was home with a cold, and we spent a day watching C-Span. She was about three at the time. Alexander Butterfield was on there, telling about the moment when he revealed the existence of Nixon's secret taping system. It was a wonderful moment, because very few people knew about the tapes. A Congressional staffer just happened to ask him, hey, you guys didn't tape every word of every conversation in the Oval Office, did you? Why yes, we did. That's what got me thinking about Watergate again. Then there was also a separate idea about a girl who is traveling the country without her father, sending him messages. I don't know where that one came from. It’s one thing to build a novel around a relatively unknown event in history, but quite another to take perhaps the greatest political scandal in the U.S. and give it such a twist! How did you decide to tackle this time period in this tongue-in-cheek fashion? Well, a lot of strange things happened. It's hard to tell it straight. I think I left some of the crazier parts out, just for the sake of maintaining the very minimal standard of plausibility that I do try to maintain. For example, I left out the Cubans who were hired to shout "traitor" at Donald Sutherland. Nixon did that, or his people did. But it sounds kind of made-up, I think. Same thing with the Congo interventions. It seems like a stretch to have Che Guevara organizing French lessons for the Congolese, but that happened. He was there, doing that. It's also true that the CIA had a plot to kill Patrice Lumumba, the first elected leader of the Congo, by poisoning his toothpaste. But I didn't put that in, because I don't know what to do with it. Do you laugh, or do you howl? It's not just bad, it's like wax museum land. Too scary, too circus-nightmare. Howard Hunt in a red wig. Sorry, no. The world inside a novel is less than real, but the advantage to this is that you can imagine it. It's a step toward imagining reality, though it doesn't get you quite there. This is your third book. Was the process or experience of writing Angela Sloan different in any way from your previous two novels? Do you have a favorite and least favorite part of the writing process? This one was much slower. Slow, slow. I did a lot of reading and studying, and some traveling, and I enjoyed that a lot, though it took time. I visited the CIA, and I went back to Baltimore, where I lived for a while, to remember what that was like. I walked all over DC. There was also the complication that Angela is very different from me. To begin with, she's a girl. Most of the important characters in this book are women. The men are the opaque ones, which is backwards from how a novel by a man usually works, I think. There are great descriptions of how to read and react to people in the novel, such as Ray’s tutorial on getting someone “under discipline” in the motel. Were these lessons based on your own observations of human behavior? In that case, no—the tutorial that Ray gives Angela is the method that is really taught and used by case officers in the clandestine service. I first read about it in a book by Miles Copeland called Without Cloak or Dagger, but it's described elsewhere, too. Many authors find that their characters are extensions of themselves, in one way or another. Do you find that to be true? Which character do you identify with most? Are any of the characters in Angela Sloan based on people you know? They're all based on people I know, but in piecemeal ways. None is based on a single person. I don't really think they're extensions of me. I guess the one I identify with most is Ray, though the book does not really delve into him much. He's there, but he's not very articulate. The concept of names, and their importance (or lack thereof), is an interesting one—how did you name your characters? Was it random, or was there a process involved? Do any of the names or code names have a deeper significance than would appear on the surface? I don't think too much about the names—something comes up, and maybe it seems right, and then it sticks. I tried to avoid loading the code names with too much significance. Richard Helms, who was Director of Central Intelligence during Watergate, said he used to keep a list of random words, and when they needed a new code name they would take the next one on the list. This was supposed to keep them from accidentally choosing a word that would signify something. Sometimes the names were suggestive anyway, though. For example when Lyndon Johnson had the CIA investigate the antiwar movement, which of course was something they should not have been doing, that program was called CHAOS. From D.C. to Baltimore to West Virginia, Angela’s forced road trip takes her to a whole host of places. Are any of the locations she ends up passing through inspired by your favorite destinations? Yes. They are all places I've lived or spent time in and have lots of affection for. The interstate bridge over the Holston River—I lived about four miles from there. What do you hope readers will take away from Angela’s story? I hope people will be entertained. Also, give an old man a break sometime. Your bio notes you are both a “former Mississippian” and a “former Tennessean,” and you now live in New York. How does your background inform your writing? I wonder about that. I don't know. I do think people are different, in different places. Angela's not really from anywhere, and I sort of know that feeling. Who are your writing influences? What are you currently reading? Well, I met a Congolese English professor by email and asked him to recommend something, and he recommended King Leopold's Ghost by Adam Hochschild. So I'm reading that. And I just finished a book by Chris Lear called Running with the Buffaloes about the University of Colorado cross country team of 1998, and before that a novel by my fellow Hattiesburger Elliott Chaze called Black Wings Has My Angel, and before that a really good novel by Diane Johnson called The Shadow Knows. And I got Thomas Powers's new book The Killing of Crazy Horse, which I am looking forward to. He wrote maybe the best book ever on the CIA, The Man Who Kept the Secrets. Another one by him that's worth reading is a book called Diana: The Making of a Terrorist. It's about Diana Oughton, who was with the Weather Underground. Now that Angela’s story is complete, what’s next for you? Something fast. And something set in Rochester, I think. I'm still kind of new here and trying to get a grasp of the place. It's a city, yet there are deer and turkeys everywhere. And we occasionally see black squirrels, which I would not have believed, had I not seen them.